The Magic Council discusses Tartaros’ recent activity and decrease in dark guilds under its jurisdiction. As the council decides to take action, Jackal of the Nine Demon Gates infiltrates the building and destroys it with his explosion-based abilities, killing the council members and several others, including Lahar. 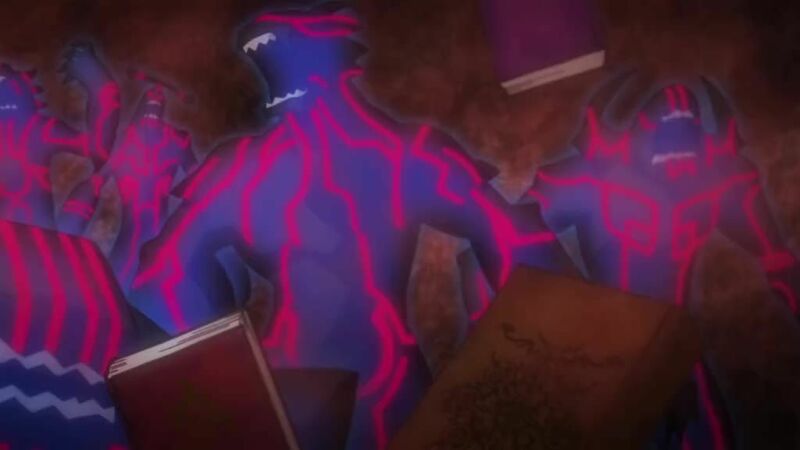 As news of the Magic Council’s assassination spreads to Fairy Tail, Doranbalt, one of the attack’s few survivors, goes to the council dungeon to extract information on Tartaros from Cobra. Cobra tells him that the dark guild is composed entirely of demons from the books of Zeref, with E.N.D. serving as their master. Later, Tempester, another of the Nine Demon Gates, fights Yajima. The Raijin Tribe attempt to defend Yajima from Tempester’s storm-based powers before Laxus arrives to battle the demon. 5 / 5 - 98 ratings.